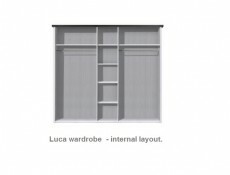 - Extremely spacious five door wardrobe from Luca collection will allow you to store your whole family's clothes in one place. Its ergonomic interior allows you to find room for all of your blouses, sweatshirts, pants and dresses. 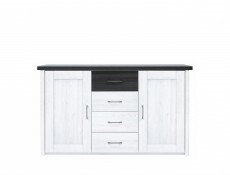 - Wardrobe interior is divided into three functional compartments. Compartments on the sides contain metal hanging rods and tall shelves to allow you to hang your clothes and easily find everything you are looking for. Central part with four removable shelves is a great place to put some boxes and baskets for accessories. 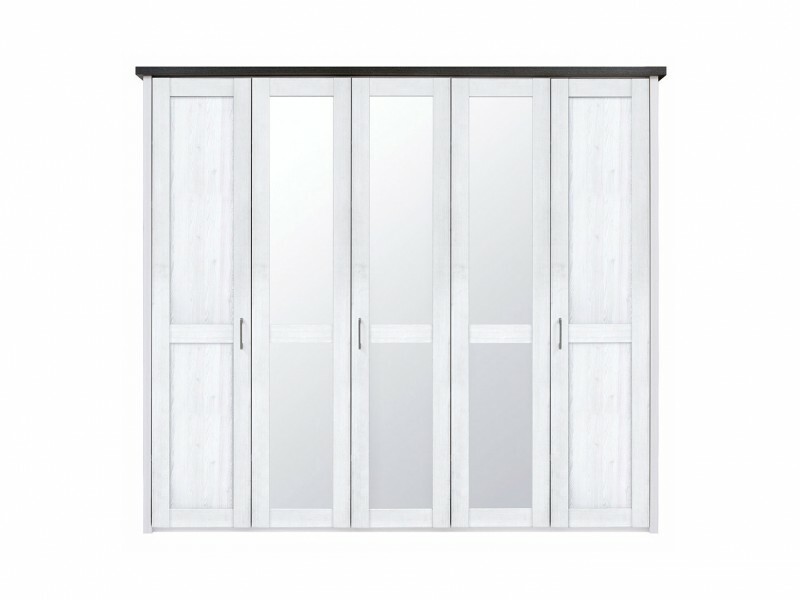 - Three large mirrored surfaces on the fronts will make the room seem larger and save up space. The mirrors make this massive wardrobe seem subtle and not at all overwhelming. 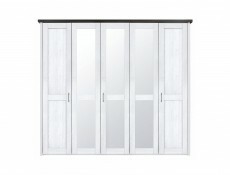 - Hinges with a silent self-closing feature ensure comfort during everyday use of the wardrobe. The accessories cushion the closing fronts, making them almost perfectly silent. 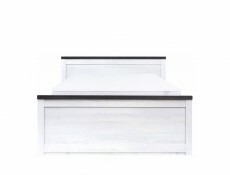 - Monochrome white body is broken by the dark wardrobe top in larico pine and subtle metal handles. 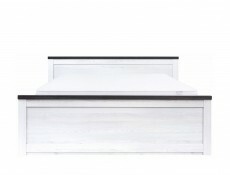 - Luca collection has been created for your bedroom.  It is characterized by minimalistic form, barely visible wood rings and large capacity.